Today was a simple and pleasant day. It was all on trail and a great respite from off trail travel. 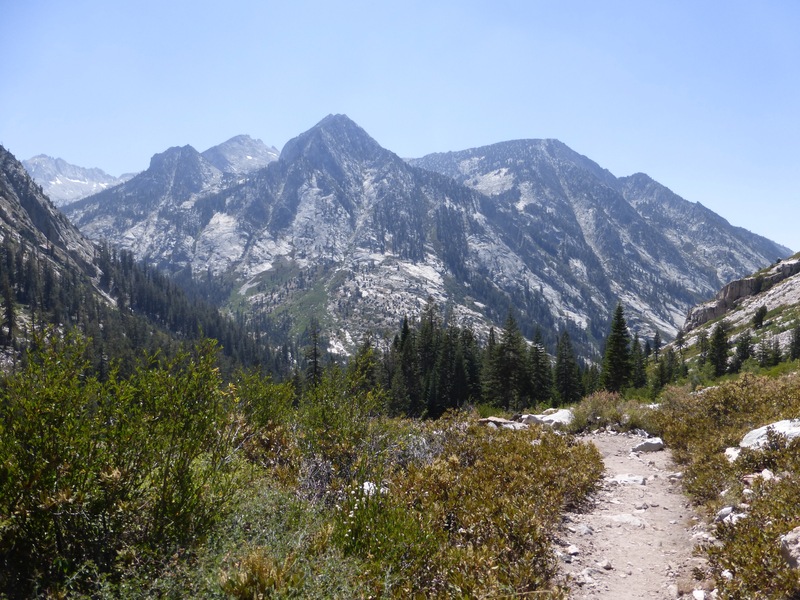 We needed to hike 10.5mi with over 3,000ft of elevation gain to return to the intersection that we left the Kings Canyon High Basin Route. With 8 days of food in our packs, we set a conservative goal of that intersection for the day. We had a leisurely morning, slept in, and dropped by the lodge to do some stuff online one last time before taking off. We started hiking back up the Bubbs Creek Trail from Roads End just after 9am. It ended up being a really enjoyable hike back up the Bubbs Creek Trail. For each high route I’ve done this summer, I’ve had one long side trail to a resupply. Bishop Pass on the SHR, Big Sandy Lodge on the WRHR, and now Bubbs Creek. Bubbs Creek is by far my favorite. 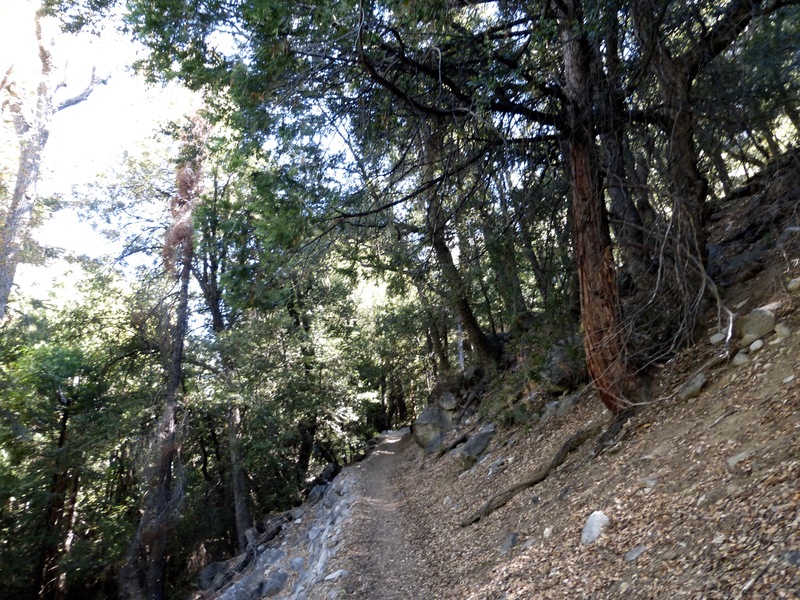 There are switchbacks and those big Sierra stone stairs, but it was quite shaded since we left in the morning. 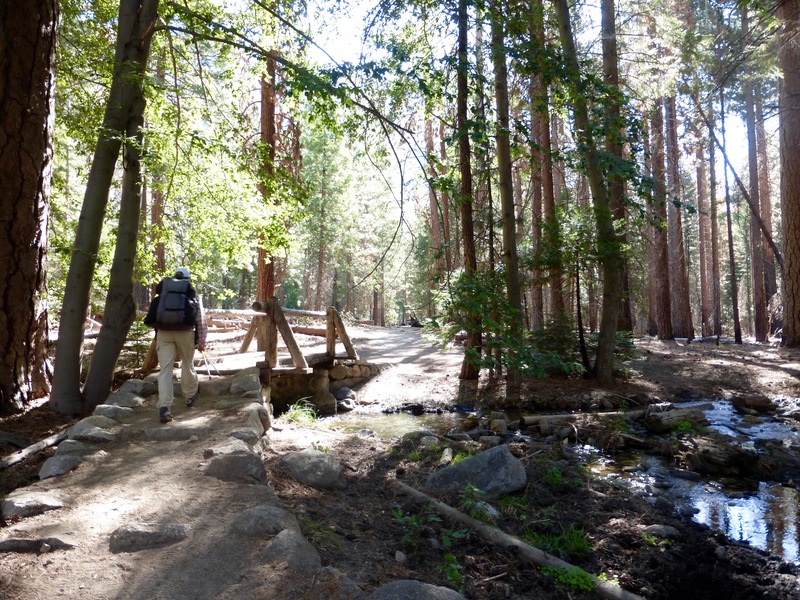 I really enjoy going through the forest with the creek running within earshot of the trail the whole way. Temps were perfect in the 70s with a nice breeze, so it was a great day to hike. We crossed paths with the two guys we ran into two nights ago. The ones that had turned back on Longley pass due to misinformation about the cornice blocking the way. Well, the other night, we didn’t exchange names or anything. I gave them a card for the blog and one of them noticed the name Wired. He had a great memory as he had heard about me through a Tedx talk he saw online presented by Dave Kallin, the dad of the family I hiked with some (and adored!) on the Appalachian Trail. Again, I like how small world this hiking community can be. If any of you missed out on the wonderfully awesome Kallins when I did the AT, here’s the Tedx talk from Dave, the Kallins trail journal, and my blog posts our time together. We are still in touch and hope to overlap again someday. I heart the Kallins! Both E and I were pleasantly satisfied with our pack weights with 8 days of food and they thankfully didn’t bother us. 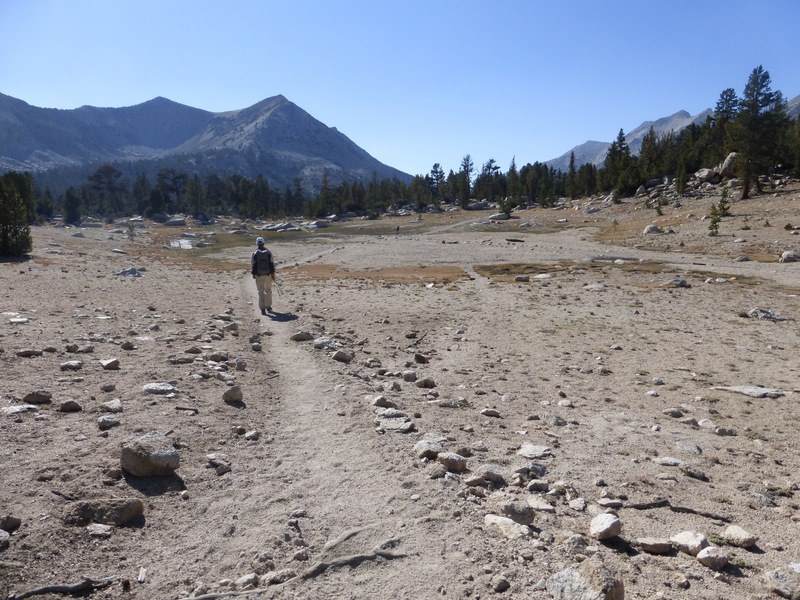 When we reached our conservative endpoint destination, it was only 2pm, so we hiked onward and upward. Looking back as we fork off Bubbs Creek (right canyon) and see where we came from yesterday on thr KCHBR (left canyon). 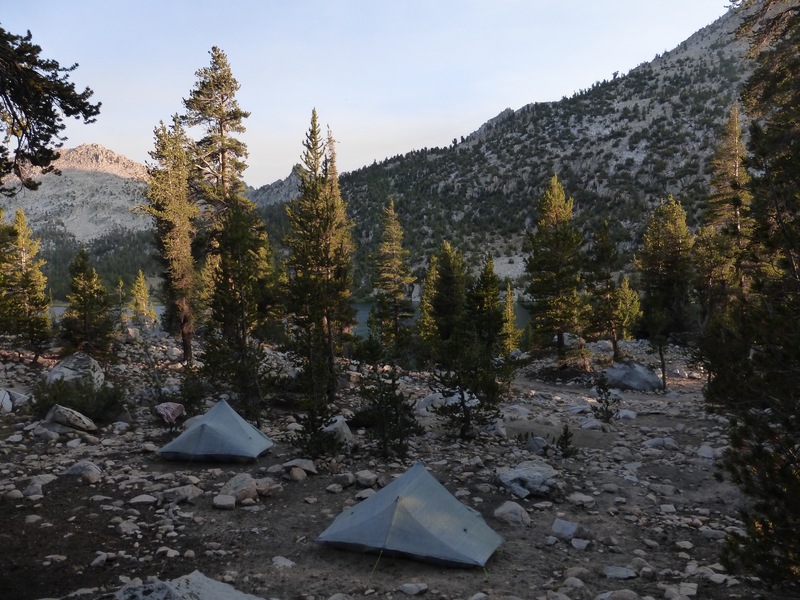 The route briefly overlaps the John Muir Trail (also the PCT) for 1.5mi and we saw 9 people and many tents in those two miles. That trail really is a hiker highway. Except for the final mile, we were going uphill pretty much the whole day. We ended up doing 5,700ft in elevation gain to top out around 10,700ft. That’s a lot of gain and we were happy to get it done today. We descended a few hundred feet to end at the popular Charlotte Lake. 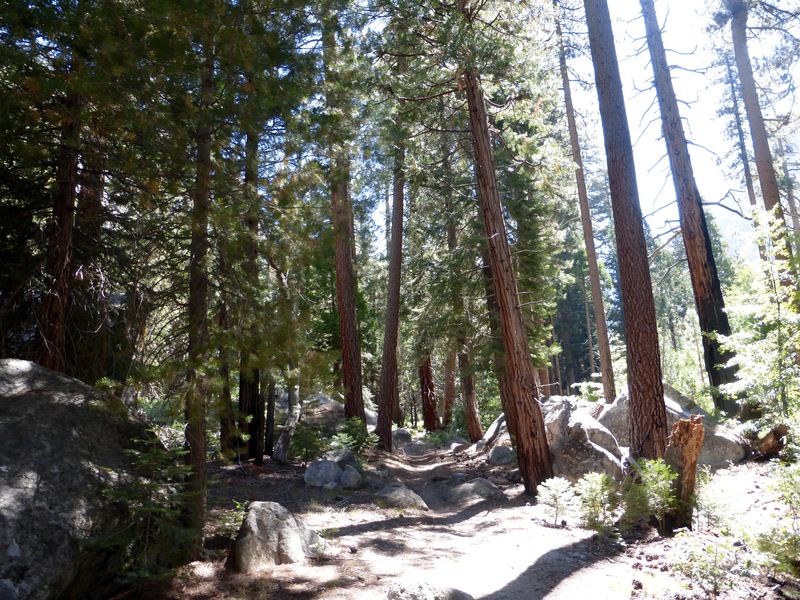 Fortunately, it’s midweek and end of summer for most, so we had plenty of camp spots to choose from. I was super stoked because we got to camp at 5:15pm, which is really early for us. You know what that means…I’m watching some of Orange Is The New Black tonight! I think I’m two episodes away from finishing the most current season. One note to make, we noticed haze as the day wore on. 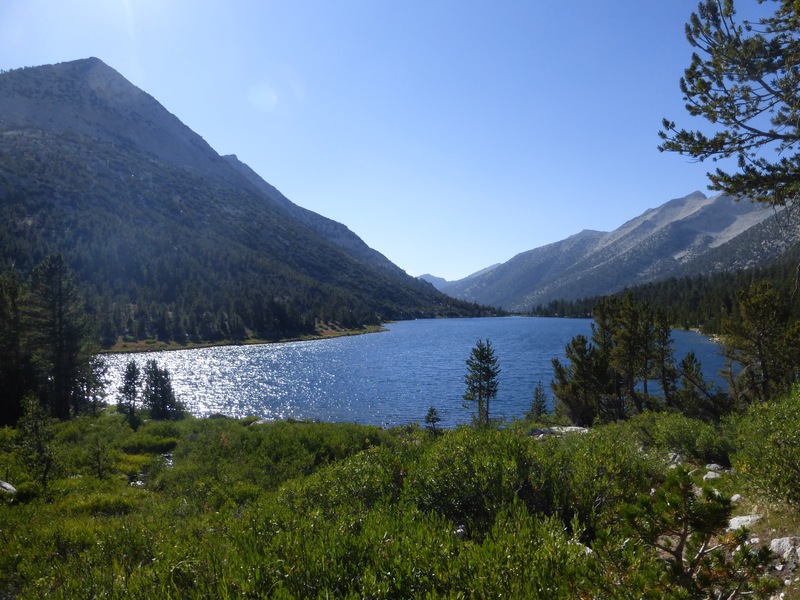 The ranger here at Charlotte Lake informed us of a new fire in the Sierra at Whitney Portal, which is 17mi southeast of us as the crow flies. Since we are hiking north, it shouldn’t affect us, but there may be haze in the skies again. Ok, off to watch some OITNB! I do love getting to camp early! 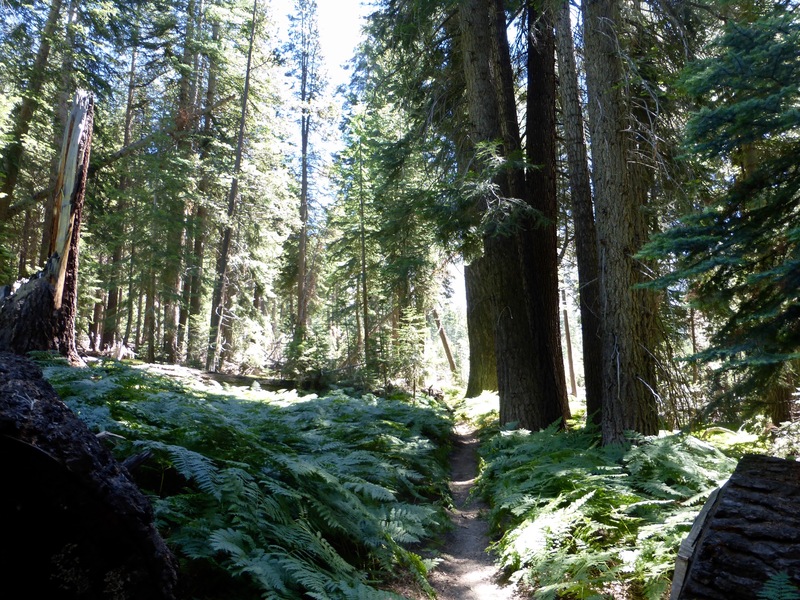 I’ve been impressed with the vast swathes of rock you had covered prior to the side trail, but it has been wonderful to see trees and grass and ferns over the past 2 days. Its fantastic that you are are able to relax so much more on this hike but still do the hard work. Continue to enjoy. I really liked the photos of all the shaded trail. It looks just right. So I bet you are really having fun. And glad you and E are so compatible.